The scene is part of a training video for tanning salon employees made by the International Smart Tan Network, an industry group. FairWarning purchased the video from Smart Tan's website for $75. The tone is tongue-in-cheek but it’s part of a defiant campaign to defend the $4.9 billion industry against mounting evidence of its questionable business practices and the harm caused by tanning. And, in an extraordinary touch, it is portraying doctors and other health authorities as the true villains – trying to counter a broad consensus among medical authorities that sunbed use increases the risk of skin cancer including melanoma, the most lethal form. To sway public opinion, the industry is drawing on its vast network of outlets; there are more tanning salons in the U.S. than there are McDonald’s restaurants. Some salon operators are putting trainees through a “D-Angel Empowerment Training” program that uses the video. It is intended to give employees talking points to use outside the salon to argue that tanning is a good source of vitamin D, and thus a bulwark against all manner of illness, including breast cancer, heart disease and autism. The industry has also gone on the offensive with tactics that appear cribbed from Big Tobacco’s playbook to undermine scientific research and fund advocacy groups serving the industry’s interests. Central to the industry’s message is the idea that tanning’s critics -- such as dermatologists, sunscreen manufacturers and even charities like the American Cancer Society -- are part of a profit-driven conspiracy. These critics are described as a “Sun Scare industry” that aims to frighten the public into avoiding all exposure to ultraviolet light. The tanning industry blames this group for causing what it calls a deadly epidemic of vitamin D deficiency, and tries to position itself as a more trustworthy source of information on tanning’s health effects. What tanning’s proponents rarely point out is that the notion of a vitamin D epidemic is disputed, and that even if you need more of the vitamin, you can safely and easily get it from dietary supplements and certain foods. Even as they themselves use techniques cigarette companies pioneered, some in the tanning industry compare the Sun Scare group to the tobacco industry. “The Sun Scare people are just like Big Tobacco, lying for money and killing people,” Joseph Levy, executive director of Smart Tan, said in the D-Angel video. The indoor tanning industry’s image has taken a beating since 2009, when the International Agency for Research on Cancer designated UV-emitting tanning devices as carcinogenic. The American Academy of Pediatrics and American Academy of Dermatology urge minors not to use sunbeds. California and Vermont prohibit youths under 18 from tanning indoors, and New York this month imposed a ban for those under 17. Thirty-three states regulate teen tanning to a lesser extent, according to the research firm IBISWorld. The Federal Trade Commission and Texas Attorney General have tried to rein in marketing messages that misrepresent tanning’s risks. The Texas lawsuit is pending, but the FTC reached a settlement with the industry’s largest trade group, the Indoor Tanning Association, in 2010. Still, misleading messages continue to be the norm, Democrats on the House Energy and Commerce Committee reported in February. Undercover investigators phoned 300 salons and found 90 percent of the employees they spoke with said tanning did not pose a health risk. What’s more, 51 percent denied sunbeds increase cancer risk. Industry groups say the questions were posed in a leading way and that investigators would have been more fully informed of risks had they visited salons in person. Despite the bad press, the indoor tanning industry is holding steady. It showed slow but continued growth over the last three years, and revenues are expected to edge up to $5 billion by 2017, according to IBISWorld. White women ages 18-21 are the leading customers: 32 percent of them tanned indoors in 2010, including 44 percent in the Midwest, according to the Centers for Disease Control and Prevention. An estimated 28 million Americans tan indoors each year. 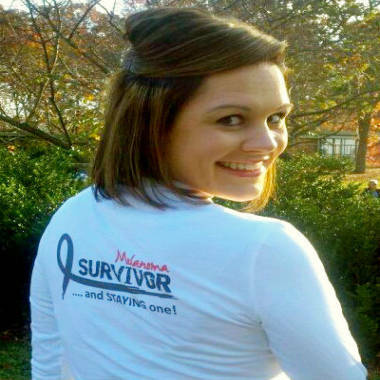 At an age when most feel invincible, 25-year-old Chelsea Price of Roanoke, Va., lives life in three-month increments. 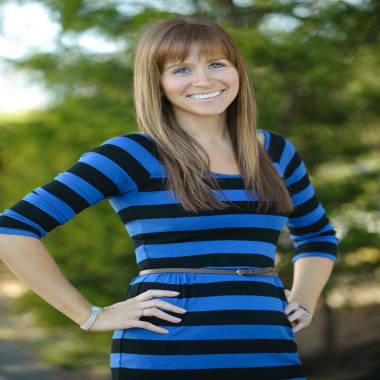 In January 2011, she was diagnosed with Stage III malignant melanoma. Price’s first reaction was giggles. Her doctor, a kidder, had seemed unconcerned about the mole he’d removed, even reassuring her that he did it just to be safe. “I wish I was joking,” he said when he delivered the news. Like many melanoma patients, Price is young, female and a former indoor tanner though it’s impossible to say with certainty whether the time she spent in sunbeds caused her illness. Price tanned indoors for just a couple of months each year and she never sunburned, “I am the person who did it safely and in moderation, but yet I’m here,” Price said. What caused the NJ tanning mom's leathery look? The typical melanoma patient has changed in a generation, says Dr. Bruce Brod, associate professor of dermatology at the University of Pennsylvania. Twenty years ago, Brod’s melanoma patients were mainly middle-aged men. Today, he treats mostly young women for the cancer. “I think that’s thanks to the tanning salons,” Brod said. 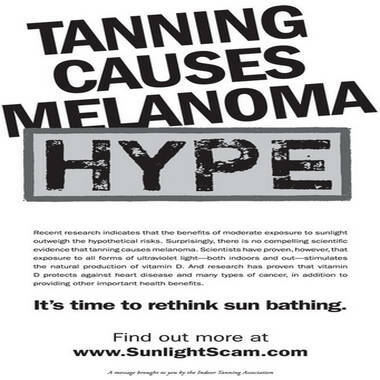 To neutralize its critics, the Indoor Tanning Association mounted an ad campaign in 2008 that claimed there were no compelling links between tanning and melanoma. It also praised UV light as a good source of disease-fighting vitamin D. The campaign’s architect was Richard Berman, the public relations executive whose work to defend the alcohol industry, and discredit unions and Mothers Against Drunk Driving, earned him the nickname “Dr. Evil” among his critics. In 2008, the Indoor Tanning Association launched an ad campaign downplaying indoor tanning's health risks. The FTC accused the tanning association of making false claims. The result was a 2010 settlement barring the group from making misleading statements or unfounded health claims. Advertisements suggesting that tanning improves health by providing vitamin D also sparked the Texas case against Darque Tan, a chain with more than 100 salons. Yet the threat of sanctions has had a limited impact. Some even say the FTC agreement gave the Indoor Tanning Association carte blanche to make any vitamin D health claims it wants, as long as it displays a disclaimer. “The FTC suit was a triumph,” Robbie Segler, president of Darque Tan, wrote on the online industry forum TanToday in 2011. The focus on vitamin D shifts the debate from tanning’s risks to its potential health benefits in a manner reminiscent of early tobacco marketing, said David Jones, a dermatologist in Newton, Mass. He co-authored a 2010 paper comparing tobacco and tanning advertising that found that cigarette makers once portrayed their products as healthy. “The tanning industry is doing the same thing,” he said. Vitamin D plays a widely acknowledged role in bone health and immune function, but evidence that vitamin D prevents cancer is inconclusive. The National Cancer Institute says there is evidence that the vitamin may reduce risk of one cancer, colorectal cancer, but even those results are inconsistent. Taking another page from the tobacco playbook, the tanning industry attacks research linking sunbeds to cancer. Industry leaders insist the relationship between melanoma and UV exposure is not well-understood. But DeAnn Lazovich, a cancer epidemiologist at the University of Minnesota, says the latest research “provides even stronger evidence” that UV light from sunbeds is carcinogenic. Levy is a pivotal figure in defending the tanning industry. 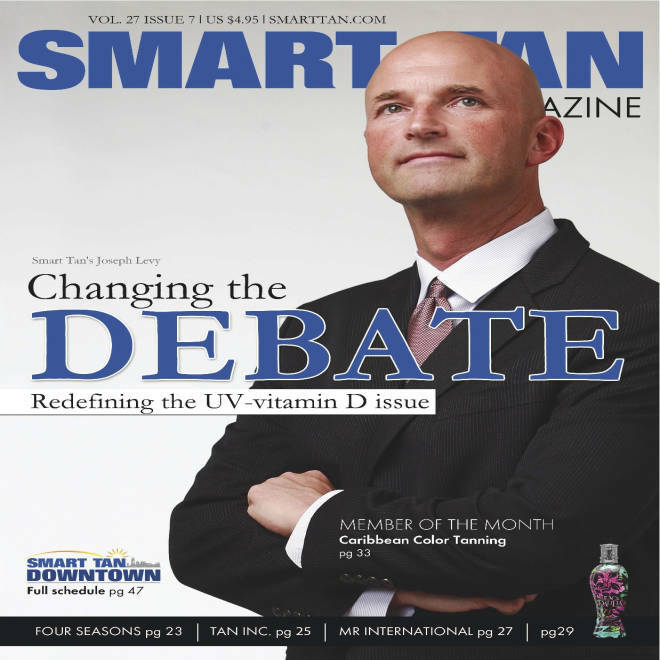 While a vice president of Smart Tan, he also served as an officer of two non-profit vitamin D advocacy groups – The Vitamin D Foundation and the Vitamin D Alliance – and was the executive director of a the Vitamin D Society, a Canadian group. Yet the close ties between the tanning industry and the web of nonprofit groups that promote the health benefits of Vitamin D often are not readily apparent. The website for the Vitamin D Foundation, for example, discloses no industry affiliation, though tax documents reveal that their top personnel were all people in the business. In addition to Levy, they include the CEO of Beach Bum Tanning, a chain with 53 salons, and the president of the Joint Canadian Tanning Association, who also owns a large chain of salons. These groups funnel money to vitamin D researchers and organizations that reinforce the industry’s claims about the vitamin’s health benefits. One such organization is the Breast Cancer Natural Prevention Foundation, which promotes vitamin D for breast cancer prevention. The founders include Dr. Sandra K. Russell, an obstetrician-gynecologist who appeared in advertisements for Smart Tan wearing her lab coat and a stethoscope. Dr. Sandra Russell, a Michigan doctor, in a pro-tanning ad from a 2007 issue of Tanning Trends magazine. Russell recently helped start a nonprofit group that promotes vitamin D and sunlight for cancer prevention. In promoting the health benefits of UV-induced vitamin D, the tanning industry must tread carefully – after all, health claims were central to the FTC complaint, the Texas Attorney General’s case and the congressional report that blasted the industry. But the FTC cannot police what salon employees say when they are off the clock, and the D-Angel training program takes advantage of that. But the reality for salon employees is more complex, says Lisa Graubard, a 15-year industry veteran who managed three salons on the New Jersey shore. Graubard, who lives in Lakewood, N.J., is not anti-tanning but says salon employees need better training. “There are definitely salons in the industry that are like, ‘We’re not going to use the c-word,’” she said, referring to the cancer risk. Graubard acknowledged that some of her own customers kept tanning even after developing skin cancer. One man, she recalled, came to tan still bandaged from melanoma surgery. Graubard left the business after years of tanning left her face discolored. The clientele at Graubard’s salon grew increasingly younger; eventually girls as young as 14 were begging to tan without the legally required permission slips. She said she would say no, but a chain salon down the street was known to turn a blind eye to the rules. “Consent? It was like a joke,” she said. Meghan Rothschild of Northampton, Mass., was 20 when she was diagnosed with melanoma, the deadliest form of skin cancer. Rothschild now speaks to high school and college groups about the dangers of sunbeds. Today, Rothschild blames an industry she says downplays tanning’s risks, along with inadequate regulations that leave the decision of whether to tan up to youth who don’t always understand the consequences. FairWarning is a nonprofit, online investigative news organization focused on safety and health issues.